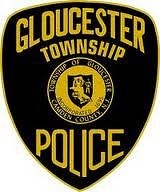 A 6-year old child battling a serious illness is set to become the youngest member of the Gloucester Township Police Department in a ceremony on Monday. The child, whose identity hasn't yet been released, attends kindergarten in the town and came to the attention of a school resource officer. It is apparently the child's dream to become a police officer and the Gloucester PD wanted to make sure that happened. Barton continued, "We meet so many people in our lives and everyone deserves a special day they will always remember."